The caravan parks, camping spots, farm stays and accommodation places here are 'Supporting TAWKing'. 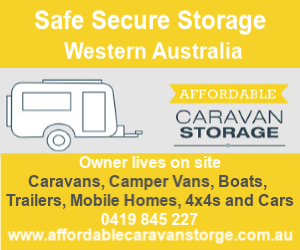 They have realized that many families are now Free Camping as much as they can and NOT stay in caravan parks due to the EXTRA cost of paying for the children. The following are 'Supporting TAWKing' and offering to TAWK Members: 'Children camp at least two nights FREE !!' ** (Some offer more !!). If you choose to stay more than two nights you will just pay the normal park charges. 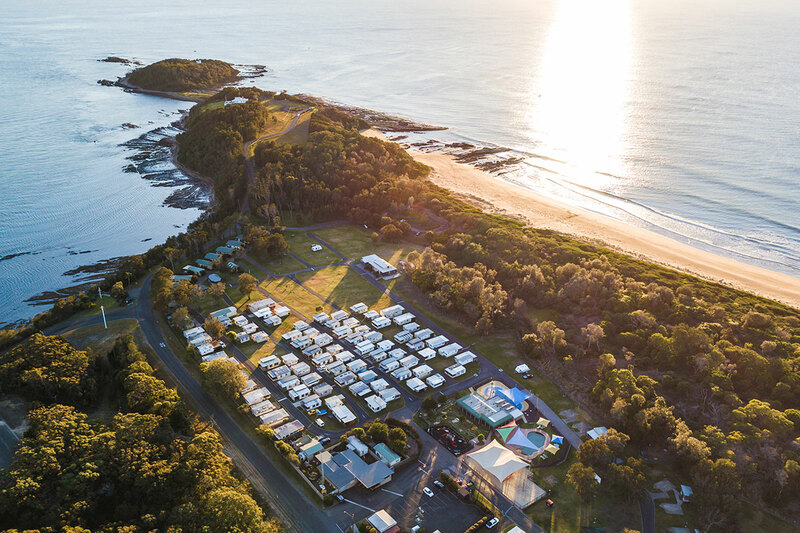 Barlings Beach Holiday Park is situated on 22 acres of beachside land on the gorgeous NSW South Coast. You stroll across the dunes to the beach! The park also has a saltwater swimming pool and an onsite café. That's a win for the kids with the pool and you with the cafe = Happy Days! Not only can you enjoy the clean and sandy beaches, you can also have fun in the pool. Plus you and the kids can explore the rock pools along the waters edge - simple pleasures and a favorite pastime of my kids. There are also some great fishing spots for the fishermen in the family. 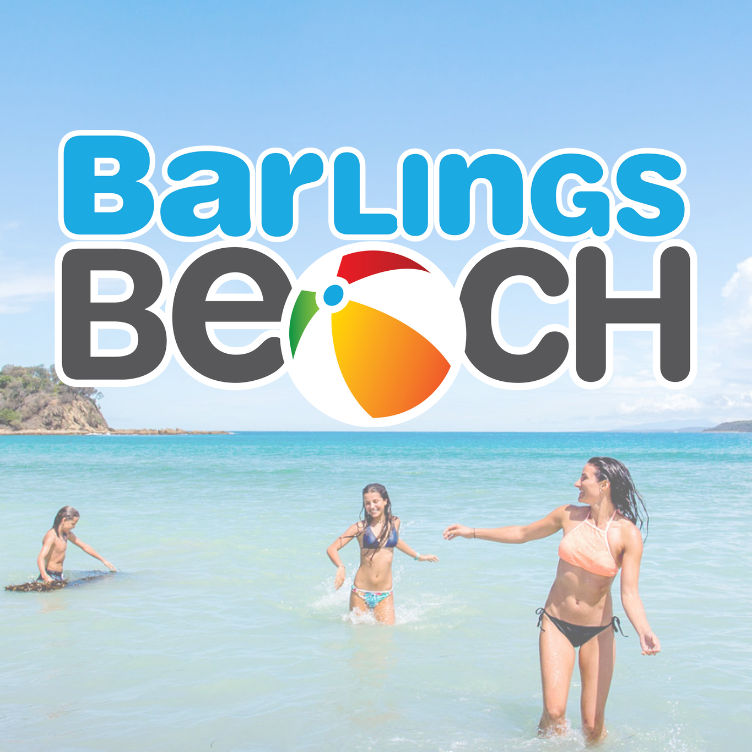 Make sure you pop Barlings Beach Holiday Park on your 'must stay' list when in the area and support them supporting you. They have also been told by other visitors that their rates are very attractive (the lowest camp site rates on the South Coast), so again, a great spot to visit and save. * offer may not be available in busy school and public holiday times, check with park for details. One of my favorite way of parking the TAWK Supporter Program is when they contact us; it means that they want to support traveling families with some cheaper camping and I love that! Holiday Haven Culburra Beach is part of the Holiday Haven Group and hopefully with TAWK members staying with this park, the rest of the group will join the program in the future. 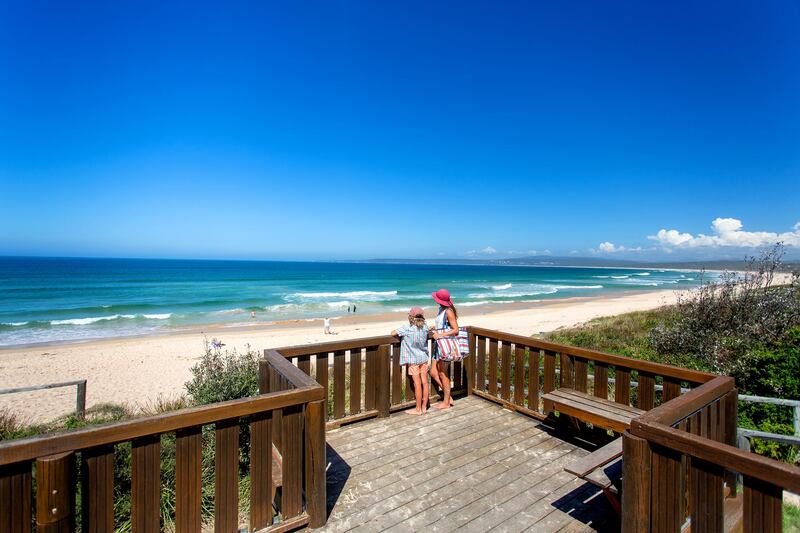 Not only is this park in a great spot, right on Culburra beach, it's also at the mouth of the Crookhaven and Shoalhaven Rivers - and the fishermen in the family will love that! 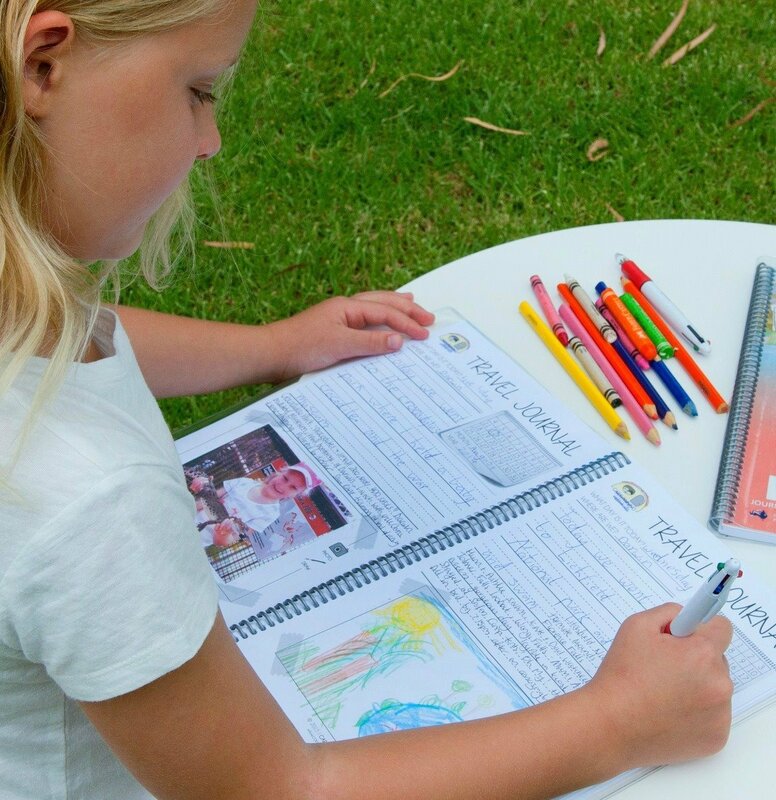 The park has lots of activities for the kids going on throughout the year. They truly embrace family stays. On your travels you will certainly save at this park as they would like to offer TAWK Members kids to camp for FREE during their non busy periods and 2 night's FREE camping for your kids during their busy times. I think that's a really great deal! So, when you are in the area, please support them supporting you. 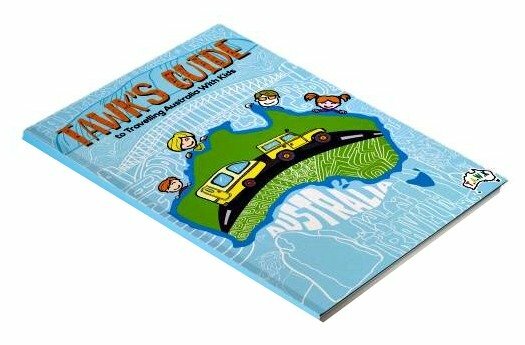 We are so excited that Discovery Parks are dipping into the TAWK Supporter Program in NSW and WA. Hopefully this will be the start of something all over the country and we can get all the states involved. 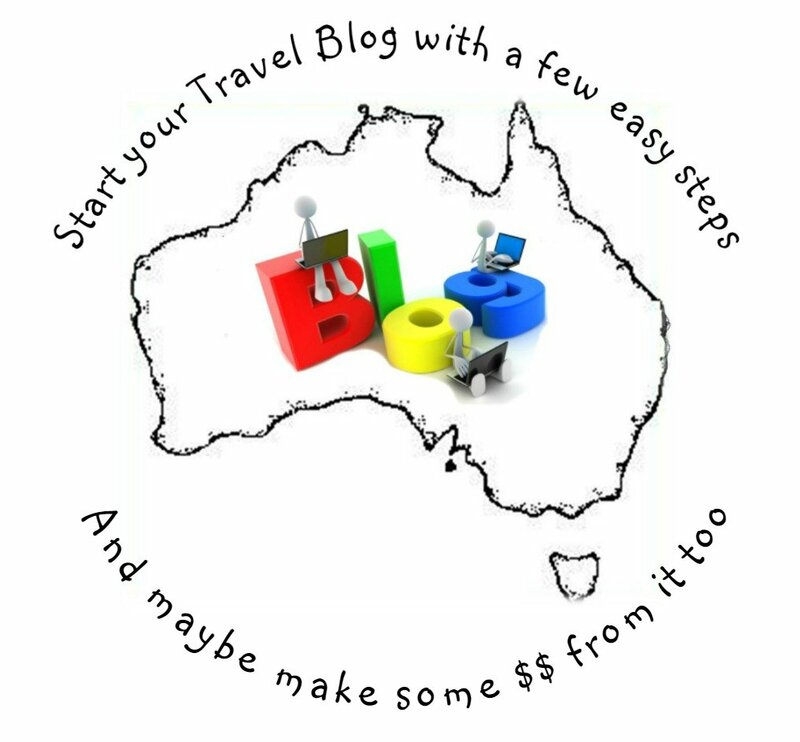 Being one of the bigger groups in Australia, it is great that they see value in helping make it more affordable for traveling families to see our amazing country. Not all parks in NSW are on board (yet !! ); Six, however, make sure that you support these and hopefully it will snowball. They have some great family friendly parks and welcome TAWK members with 2 night's FREE camping for your kids *. Below are the parks on board so far. Call to book and mention TAWKER as their code for their system and show them your membership card on arrival to receive the TAWK discount. P lease be aware that there may be a teething period as all parks get used to you using the TAWK Membership and contact us with any issues. 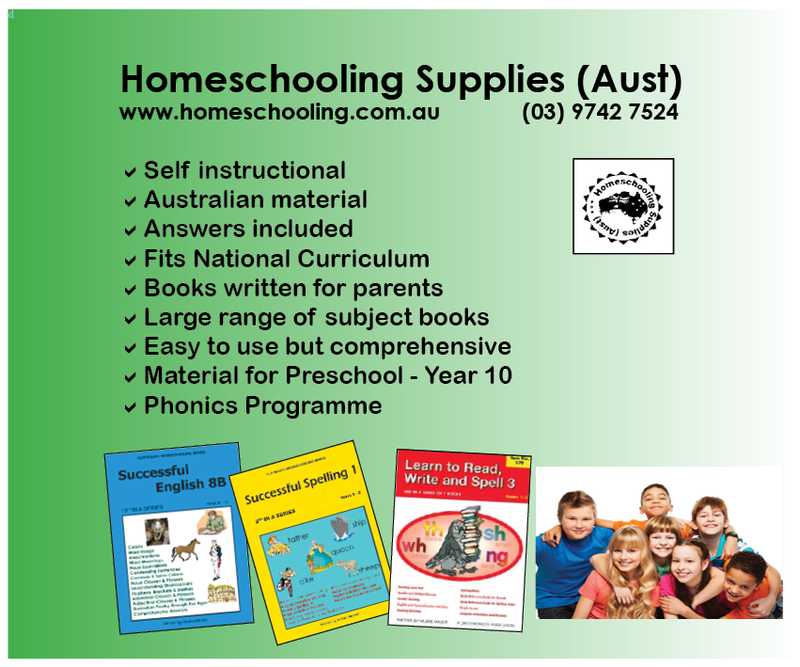 * Not available during Christmas and Easter school and public holiday period in conjunction with any other offer. When Jen from Flame Tree Cottage approached me to be a TAWK Supporter, I could not have been happier! I know that sometimes that caravan just gets a bit too small and you could do with a break from it. Here is your answer! A beautiful setting and you can park the next door! Of course it is also very good for those who are traveling with your own RV, but many of you have been looking for! They are located in Gundagai which is the half way point between Sydney and Melbourne. The park is set on a well maintained six acres of park like grounds with a choice of 14 cabins, grassy camp sites with lots of shade and their unique covered drive through sites that offer their own private ensuites, which everyone loves! When Mclean Beach Holiday Park contacted us to become TAWKer Supporters, I was stoked. Then I found out that they also had a park in Victoria that they wanted to join up too! I know that they really wanted to be a part of the TAWK Supporter Program and help encourage families to travel our great country with by offering FREE camping * for TAWK Member 's kids! McLean Beach Holiday Park is opposite the renowned McLean Beach swimming area and boat ramp. Great spot for the kids and the boaties in the family. Deniliquin is an oasis on the edge of the outback with delightful weather, infact they apparently have more sunshine hours every year than the Gold Coast! Happy Days! Have a look at the little video below to get more of a feel of the park. * Offer not available on busy public weekends or when busy local area events are on - please check directly with park . 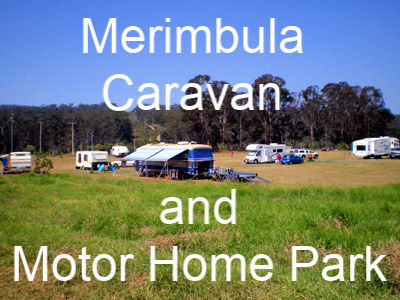 A TAWKing family stayed here at Merimbula Caravan and Motor Home Park and told Alan (Shady) about the TAWKer Supporter Program as it was so cheap to stay for their kids anyway. Shandy called me and we knew it would be great to get him on board. Good old fashioned service with space and room. The perfect spot to stay a while and explore this lovely part of NSW. Shandy loves to interact with his guests and loves to share his little piece of paradise with them. Check out the drone video here . Grab your TAWK Membership Card and make sure you support him. Middle Rock Holiday Resort approached us for more information about the TAWK Supporter Program and to us that they are no one to see you at the resort. Yes! In said resort! The kids will love it - and frankly so will you! 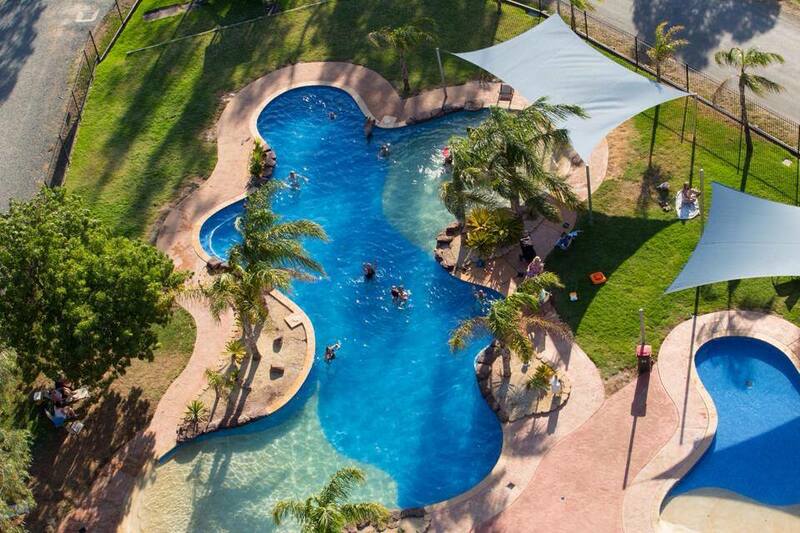 Middle Rock Holiday Resort is in the picturesque Port Stephens area of ​​NSW. Just a few hours north of Sydney and a 10-minute drive from Nelson Bay, the resort has its beach and Tomaree National Park at its doorstep. Happy Days !! If you had a big day exploring your can with a cocktail while sitting around the pool while watching the kids and you might be able to have a night off from cooking at their cafe & bar! (onsite, seasonal). * excludes peak busy periods (Christmas, Easter) and long weekends. Merool on the Murray was suggested to us by a TAWK family that this park is a perfect fit for TAWKers. They said they had an amazing time here and that this family owned park knows hospitality. We approached them to see if they would like to join the TAWKer Supporter Program and they said YES !! And with the kids staying FREE we know you will support them supporting you. 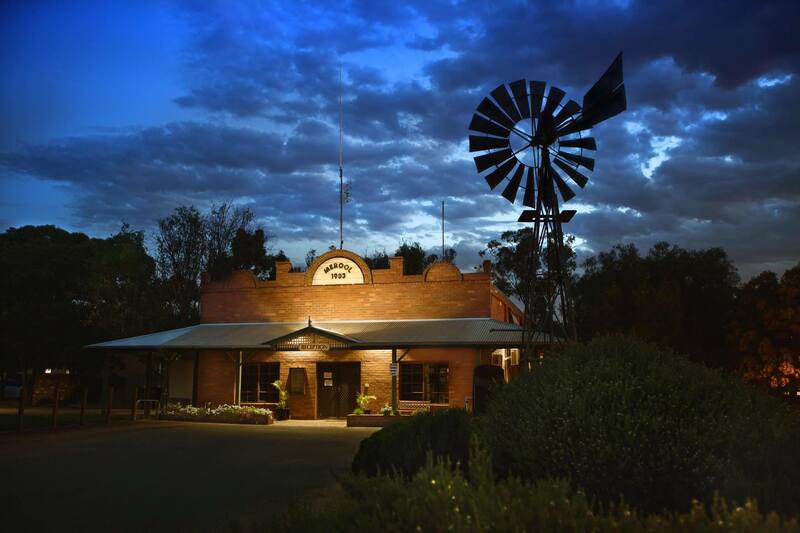 Merool on the Murray is situated on 68 acres of land AND has over 2 kilometers or absolute Murray River frontage. 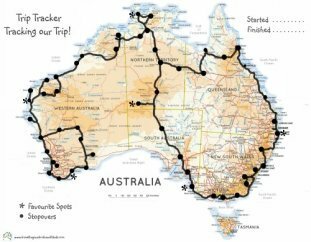 The Migthy Murray is a huge draw card to travelers and the team at Merool welcome you to join them and enjoy this amazing part of Australia. They know the area like the back of their hand and are more than happy to share their thoughts and suggestions with you to make the most of your stay. BIG4 Nelligen Holiday Park contact us to find out more about the TAWKer Supporter Program and we love it when we feel that they are not to encourage families to stay with them. So grab your TAWK membership card and get 2 nights FREEcamping for your kids *. 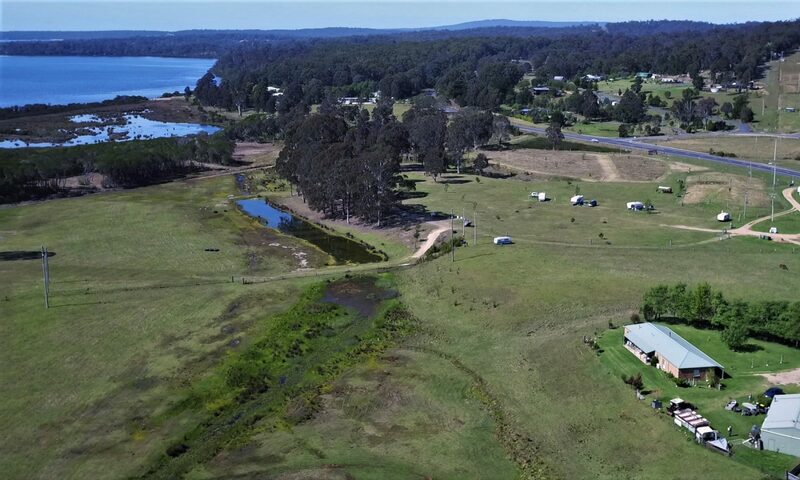 Situated on the NSW South Coast on the banks of the Clyde River, it is the perfect location to launch your boat, kayak or stand-up paddle board, not to mention fishing in the river! It also has a host of activities for the kids; including a skate park, jumping pillows, resort style swimming pool and a kids splash park. You can see the kids loving it here, especially if they have a few days exploring the region and need to relax and just be kids for a while. * Offer not available during Sept / Oct, Christmas and Easter school and public holiday periods, or in conjunction with other offers. Contact park for further details. Recommended for us at a TAWKing family as one of the nicest farmstays they have had the pleasure of staying at that they just had to tell us about it, so that we could tell you. Kids stay FREE and the hosts love traveling families. That to me is a TAWKer Supporter! Tell Bruce and Lehanne that TAWK sent you. Pop over to their Facebook page for more information or call on 0447 090 205. Wow! 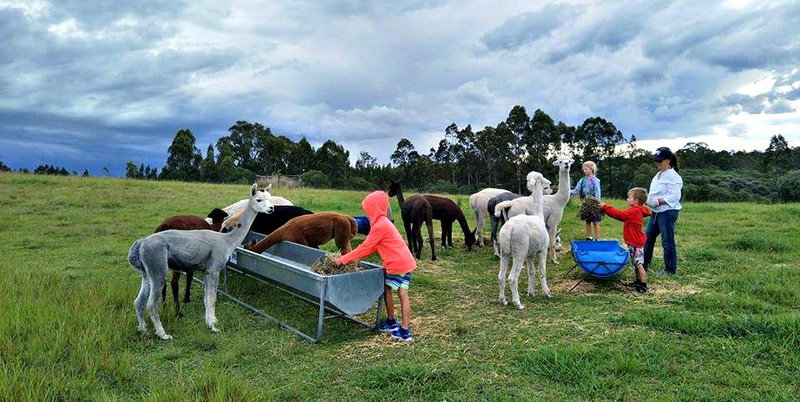 When the BIG4 Saltwater at Yamba Holiday Park contacted us to find out more about the TAWKer Supporter Program, I took one look at the park and it's reviews and thought it would be a great addition to our program. Plus they have a sister park too also offering TAWK Members 2 night's FREE camping* for their kids! 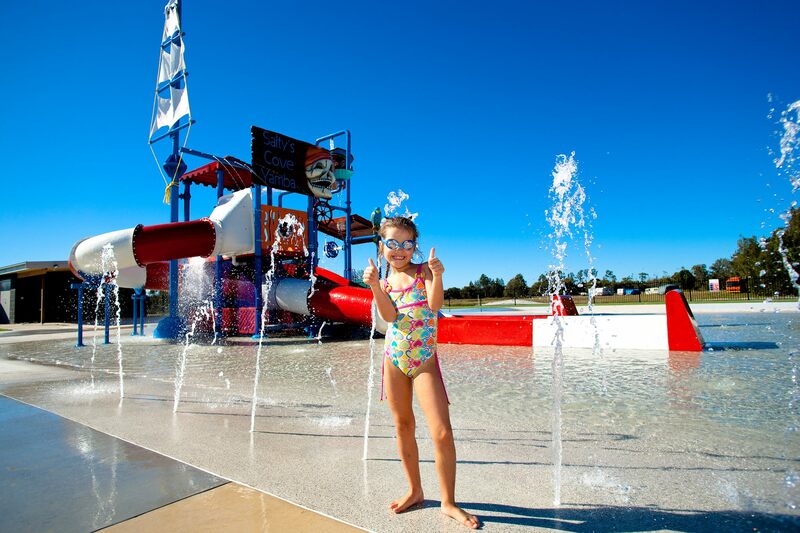 BIG4 Tweed Billabong Holiday Park is not too far away, so make sure you take advantage of both! This is one of those parks that my kids would have loved! Sometimes kids get over the travelling, the sightseeing, the walking and the exploring and just want some down time to play and be kids. They can do that right here. 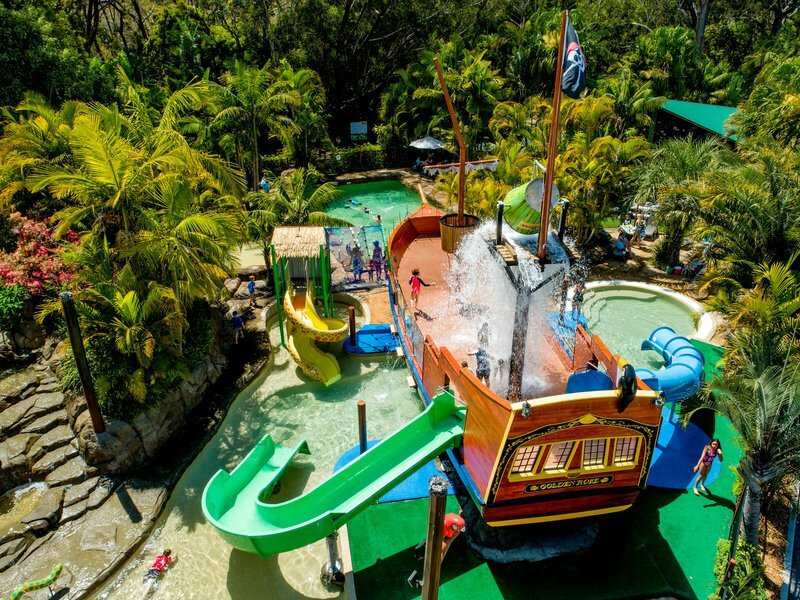 Their biggest attraction is ‘Salty’s Cove’ Waterpark with 4 levels and 4 water slides of varying heights, a tipping bucket, water guns and a wading pool. Then there's the jumping pillow and apparently it's one of the largest in Australia = Happy Days for the kids! With it's river frontage, they can drop a line in for a spot of fishing straight off the boat ramp - saves dad having to cast all the time for them! You can also hire a kayak or stand-up paddleboard if you're keen to get out and have a paddle on the river. A great spot and park, so when in the area, please support them supporting you. Oh and if you have your dog with you, let them know as they can camp too. Wooli is part of the Northern Rivers, just South of Yamba in NSW and is nestled between the coast and the banks of the Wooli River. 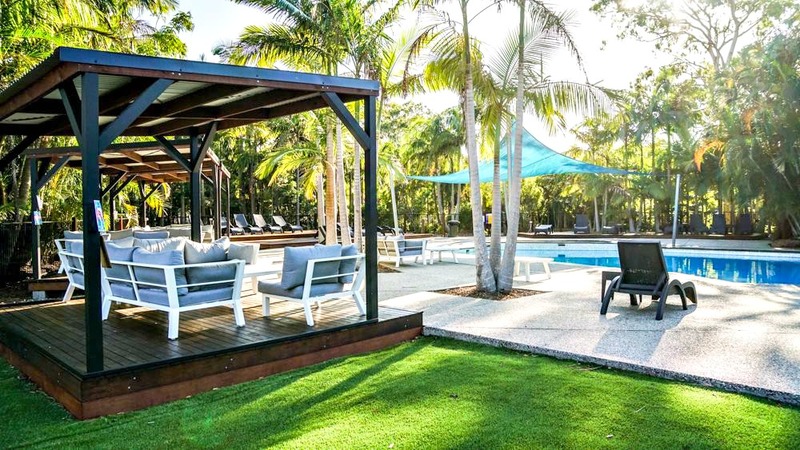 It's surrounded by the Yuraygir National Park and nestled where you can truly relax, surrounded by nature. Perfect after a day out exploring this gorgeous area. There's also lots to do in the resort itself, so have a look here as it's too much to list, but let me say, you and the kids will be very happy!! You can pop in the code TAWK if you book online and show your card upon arrival. Please support them supporting you when in the area. *Offer may not be available at peak school holiday periods, please check with park. Another great spot recommended by a TAWKing family Stuarts Point Convention Centre - we approached them to give 2 nights FREE camping for the kids and they said yes! It's 20 minutes from Macksville, 40 minutes from Kempsey and one hour from Coffs Harbour. 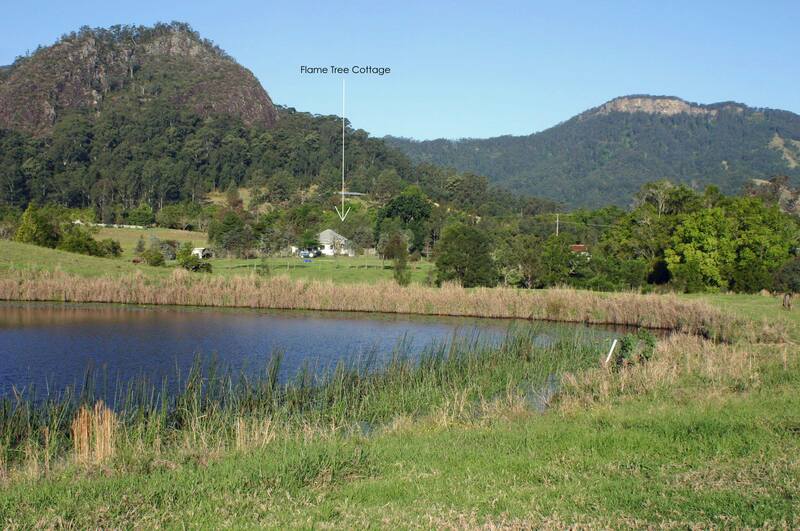 Surrounded by the bush and beaches and right on the Macleay River, this spot has something for all the family. AND if you like fishing, well... you have the choice of rock, beach, river and blue-water fishing spots. Even the fishing has something for everyone! If you have travelling with your dog, then let them know as pets considered on application for camp and caravan sites only - Although NO pets allowed in PEAK and SHOULDER Periods and it's a smoke & alcohol FREE park. 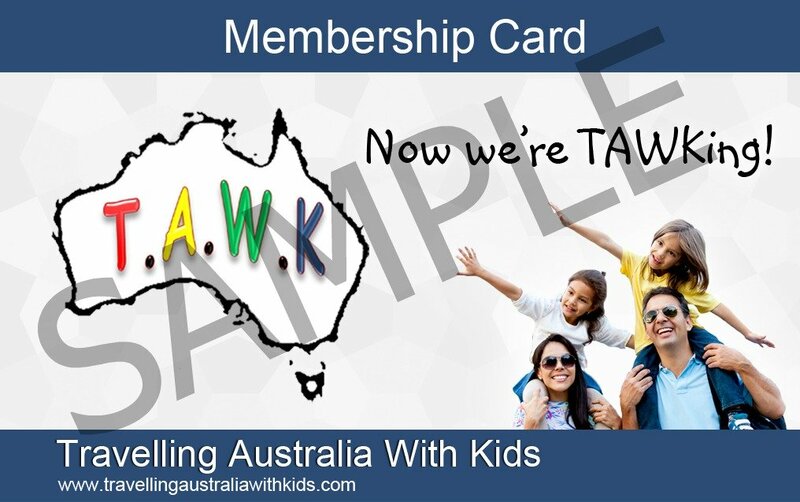 Make sure you grab your TAWK Membership Card to show them you are a TAWK Member. 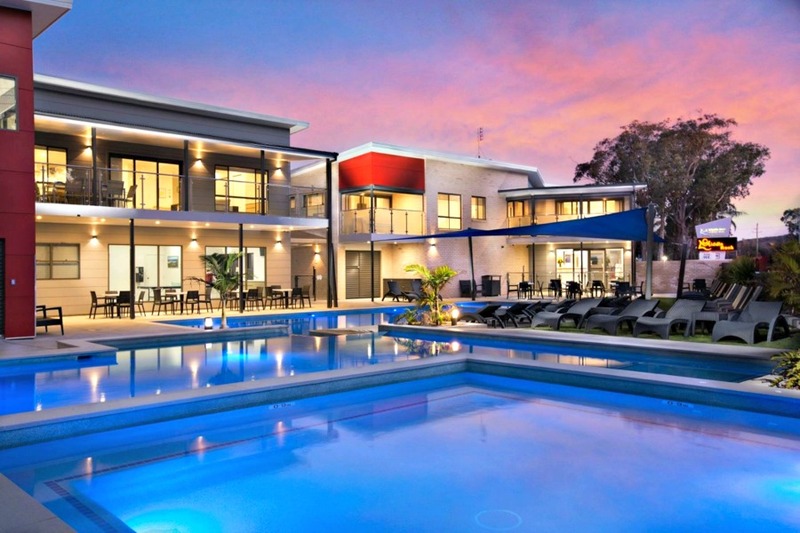 I'm not even sure where to start with the listing for the BIG4 Sunshine Resort in South West Rocks! There is so much for you and the kids to do that you might need to go have a look for yourself on their website! It looks amazing and some really great time out for the kids after all the days exploring the area. I was so happy when the BIG4 Sunshine Resort contacted us to become a TAWKer Supporter. I know how much my kids loved to stay at a spot like this and am pretty sure your kids will love it too. Check out the "Shipwreck Island" alone! They do a year round kids club – which is a bonus for travelling families & its free! The surrounding area is also a little slice of paradise. With pristine beaches, sweeping views, an abundance of wildlife and the charming feel of a small town, you will love it here. The staff at the resort will be more than happy to point out the must see spots. So grab your TAWK Membership Card and show it to them on arrival to get 2 night's free camping for your kids. * Go visit this great area and support the BIG4 Sunshine Resort supporting you. *Offer not available at QLD and NSW peak school and public holiday periods or in conjunction with other offers or available on unpowered sites. Ohhh you are going to love it here! 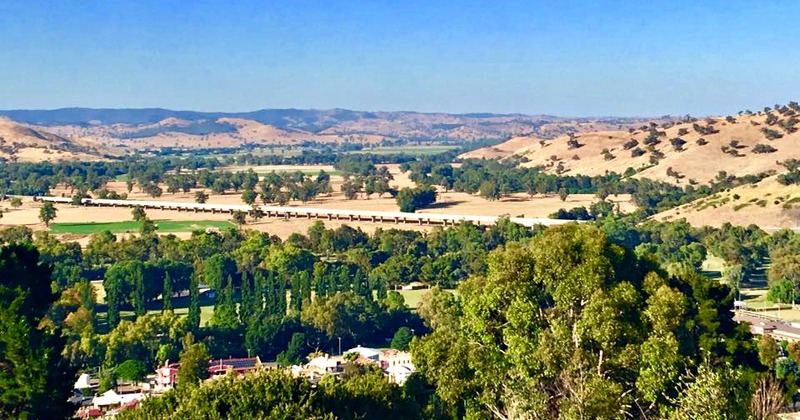 Talbingo Tourist Caravan Park was suggested by a fellow TAWKer as a place their family loved when visiting the Selwyn snowfields. It's a family owned and operated park and it is nestled in the foothills of the Snowy Mountains, sitting on the edge of Koscuiszko National Park with views of Jounama Pond! LOVELY!! Base yourselves here, and you might stay a while as there is so much to do in the area and you can see just how much by clicking here. They would like to offer TAWK Members 2 night's FREE camping for the kids ALL year round AND they are pet friendly on their camping sites! Please make sure you pop them on your must stay lists when in the area and support them supporting you. 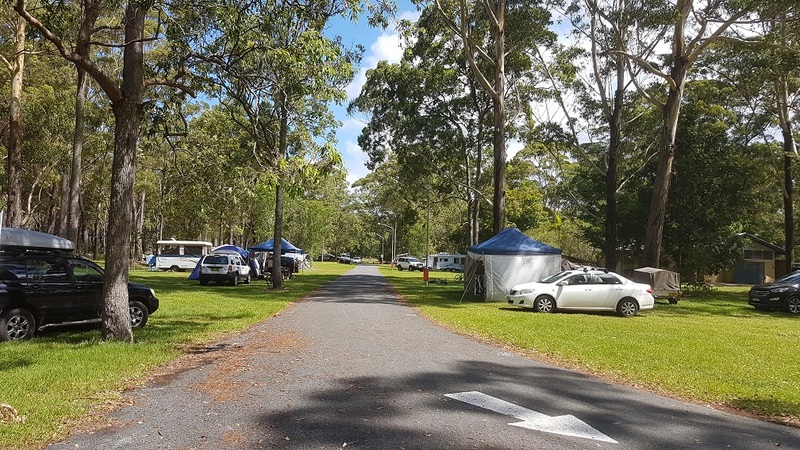 This is the sister park to the BIG4 Saltwater at Yamba Holiday Park and we were pleased when both wanted to join the TAWker Supporter Program and offer TAWK Members 2 night's FREE camping* for their kids. For my kids, a break from exploring, walking and sightseeing was a must every now and then and you can certainly do that here. In fact I was going to list everything that I think they would love here, but seriously there is so much, I think you are better off having a look yourself! Click here. The thing that does intrigue me is 'The Billabong' which is the heart of the park, it’s what they're named after. You can fish it, have a swim in it, jump on the aqua trampoline or hire a kayak or stand-up paddle board…there’s something here for everyone! I'm sure you can see why you and the kids might like to stay a while here, so when you are in the area, please support them supporting you. Sister Parks! I do love this and like sisters, they often do things together! 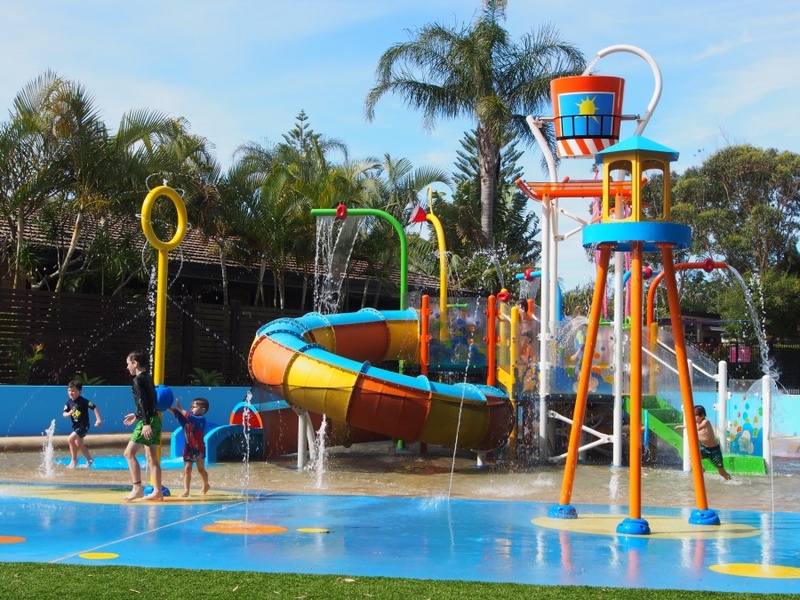 Tween Waters Holiday Park Merimbula is a sister park to Barlings Beach Holiday Park in Tomakin. Both parks are now TAWKer Supporters! Offering TAWK Members 2 night's FREE camping* for their kids! Merimbula; one of my favourite spots on our trip and I am so happy that we now have a TAWKer Supporter here. The park is superbly located right between Merimbula's Main Beach and Merimbula Lake on the beautiful Sapphire Coast. Literally only two minutes walk to either, with Merimbula township only just across the bridge. There's a water playground of solar heated, saltwater island pools; with slides and in pool features!! Oh your kids will love this, especially after a day out exploring. And they welcome your fur child too! Merimbula should be on your must visit list when TAWKing and when you get here, make sure you support Tween Waters Holiday Park supporting you. We are adding more all the time now, so make sure you come back often and check our Facebook Page for all updates.